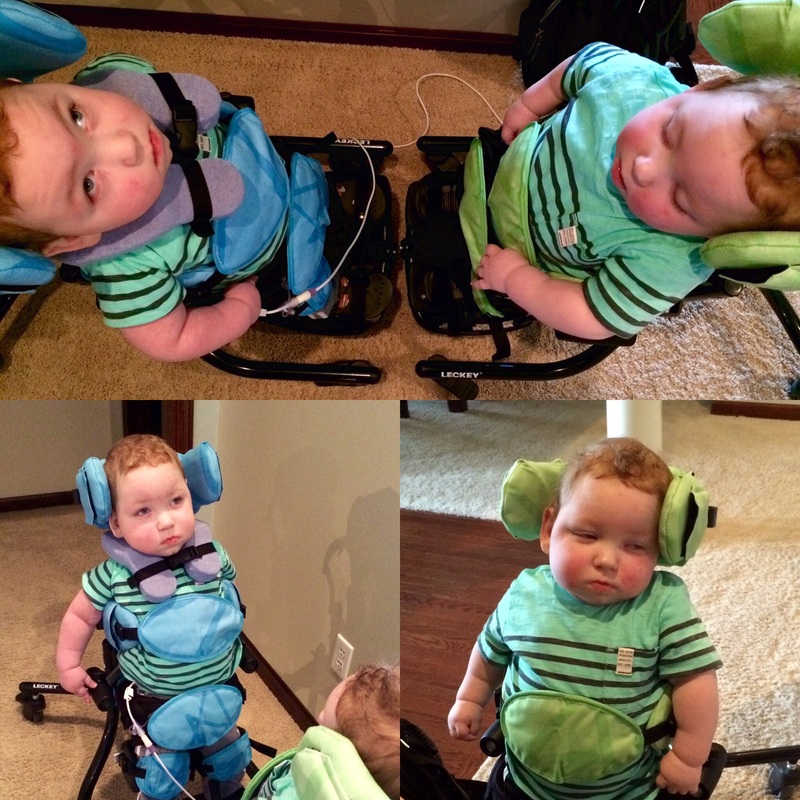 The boys are growing fond of and are ready to show off…their new equipment! At our early intervention 6 month appointment, we discussed goals, expectations, and needs. At the top of my list was positioning equipment. I had researched online, and polled our facebook friends in the Lissencephaly communities to get some ideas. By our first meeting, I had printed a pamphlet for Leckey Squiggles equipment. After further discussion, a follow up appointment was scheduled with an equipment specialist. 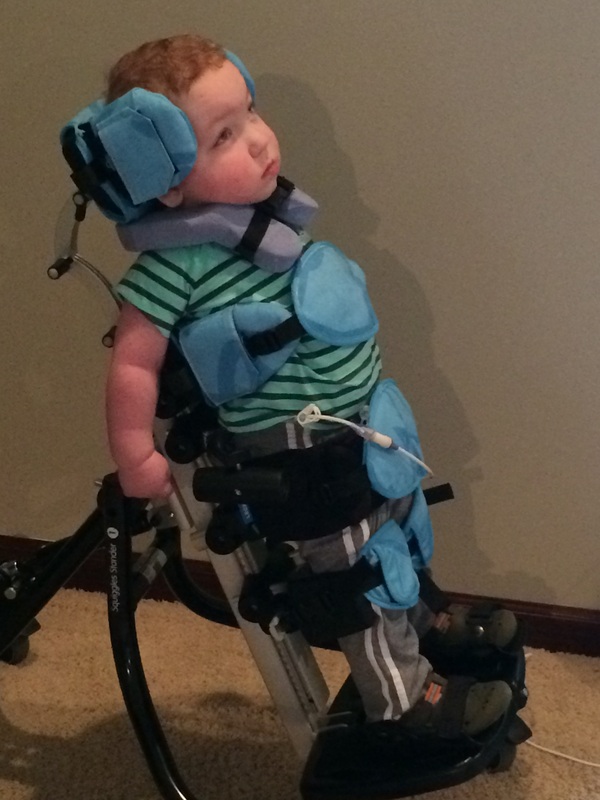 1) Standers: These devices help promote weight bearing in kids who might otherwise be unable to get upright. The simple act of standing, which we take for granted, has been shown to improve bone health, motor function, reduce spasticity, tone and spasms. It can even aid in digestion, and lung health. 2) Hi Low Seating: Seating is crucial. 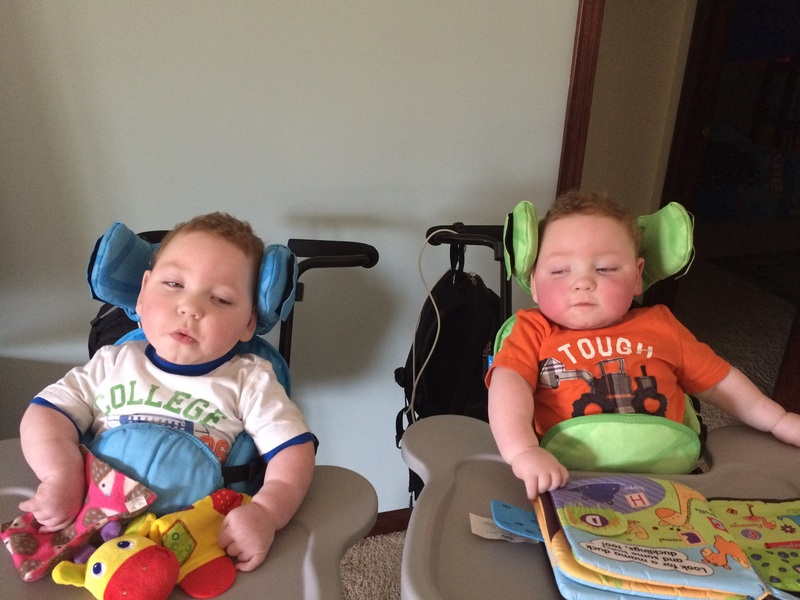 The boys need comprehensive support, and if not being cuddled, they are often stretched out on the floor, or propped on a boppy pillow. Having seating that provides adequate support will allow them to be upright, social, more able to look around, and even free to use their arms. 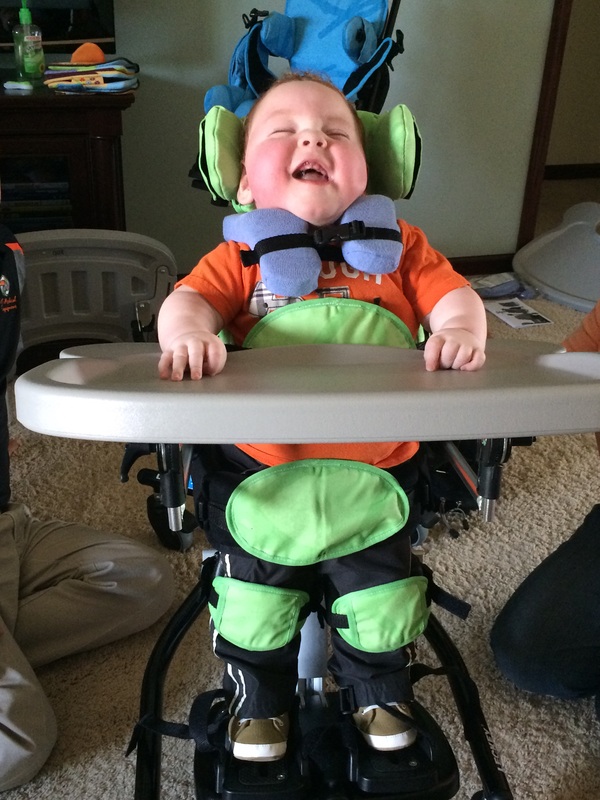 The hi low function allows us to lower them to an age appropriate height, or raise them to a dinner table/feeding height. The collar you see in some photos is a Hensinger collar. 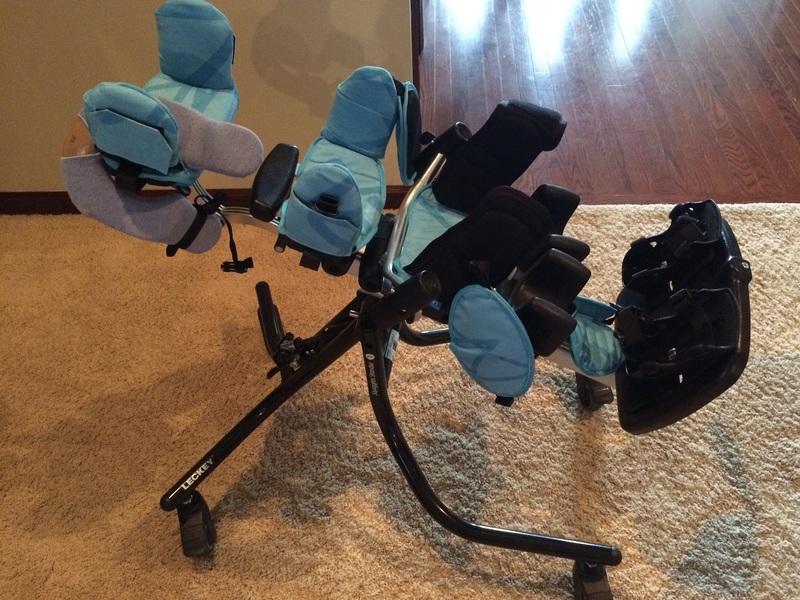 We’re mostly using it with Landon when he is in a more upright position. 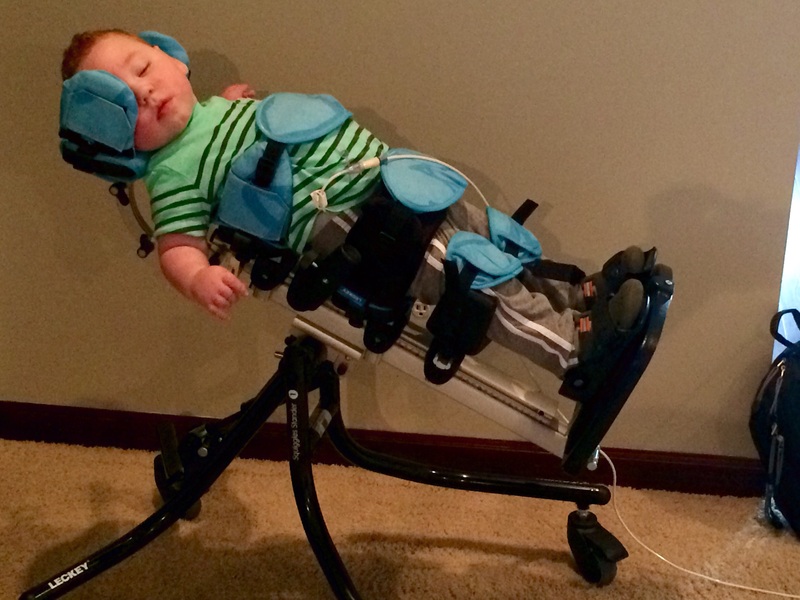 It assist the boys with neck control, as being upright very long, even with support behind their head, is hard work! This prevents “crashing” their heads forward. So far…they LOVE them! 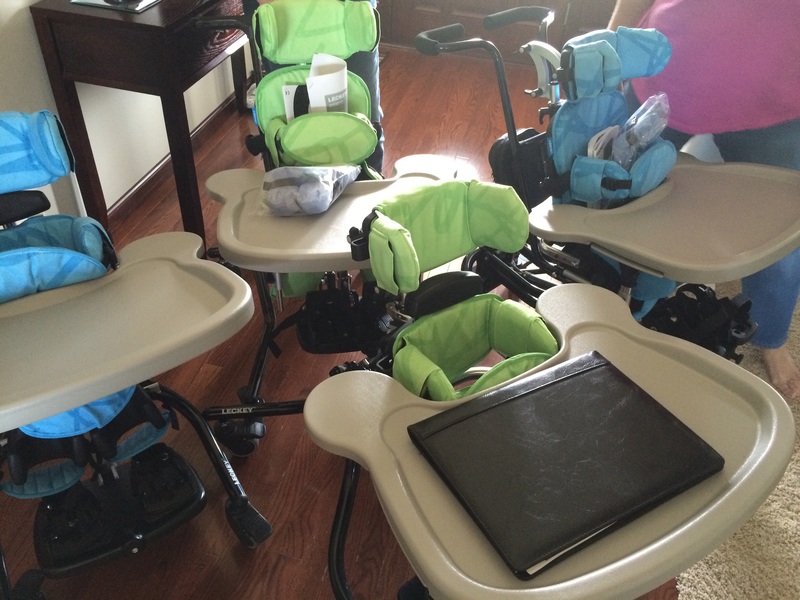 Nolan’s seat needed adjusted, so we’re working with 3 out of 4 items temporarily. But I am thrilled with how well these have been incorporated in to daily use. Here are some photos I hope you enjoy, and a video that I certainly love. And here’s Landon working on grasping and lifting. This was nearly impossible before, because we had to support them in all directions. And I sure couldn’t have had enough free hands to catch it on video! So happy for all the equipment that is available now. Loved the video and pictures. Looking good! They’re getting so big!!! These are awesome! !